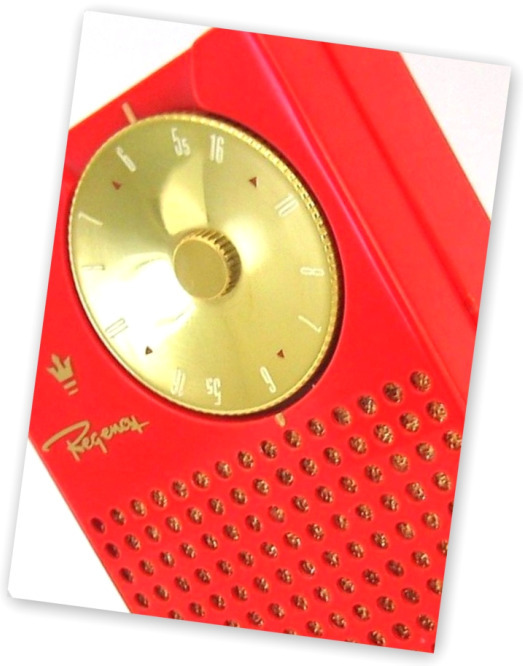 The Regency TR-1 was of course the world’s first Transistor Radio making its debut in 1954. 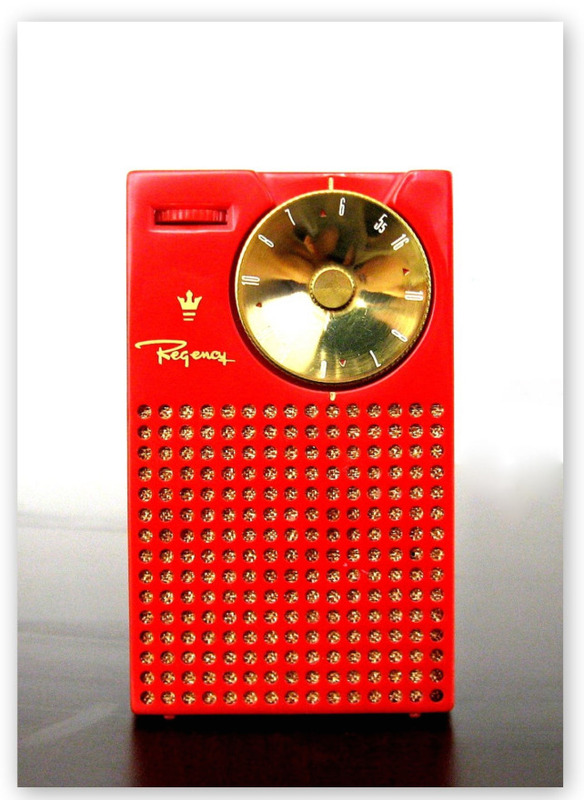 Not only was it the worlds first transistor radio it was also the first radio in my collection. I purchased this 'Mandarin Red' example on Christmas Eve 2006. It was not in in the greatest condition with extreme sun fading to the front and top. I had to spend hours sanding it back and polishing the plastic. It was a rewarding exercise and I think that it was well worth the effort! The collage on this page contains a photo of my daughter Anastasia when she was three years old. 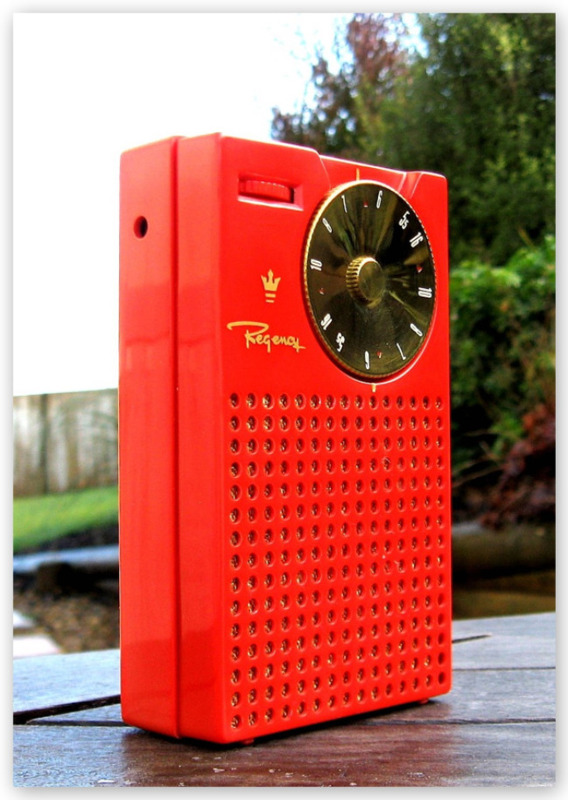 This really is a beautiful radio featuring understated minimalist design. 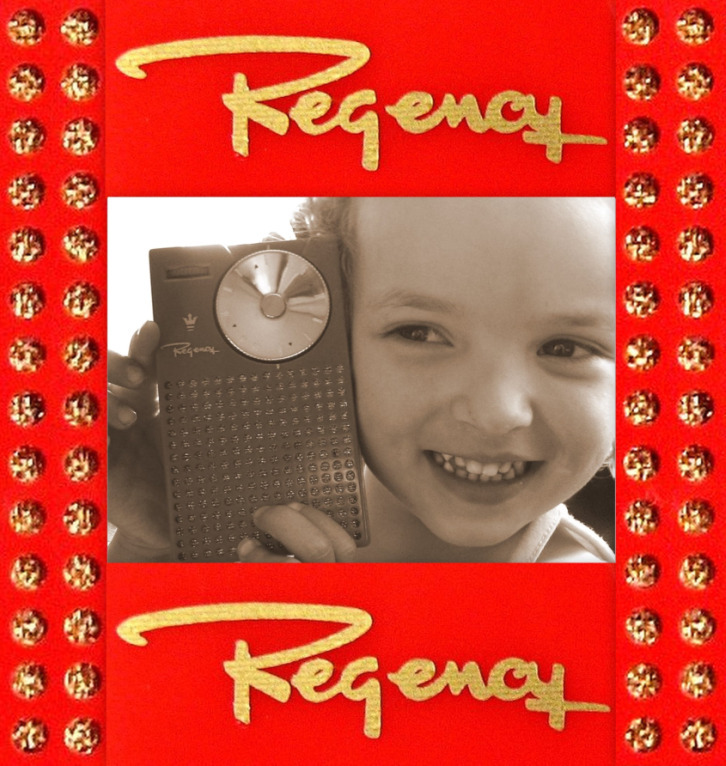 Obvious highlights include the famous gold Regency logo, the regal gold tuning dial and the sparkling gold speaker grill cloth. Stunning! 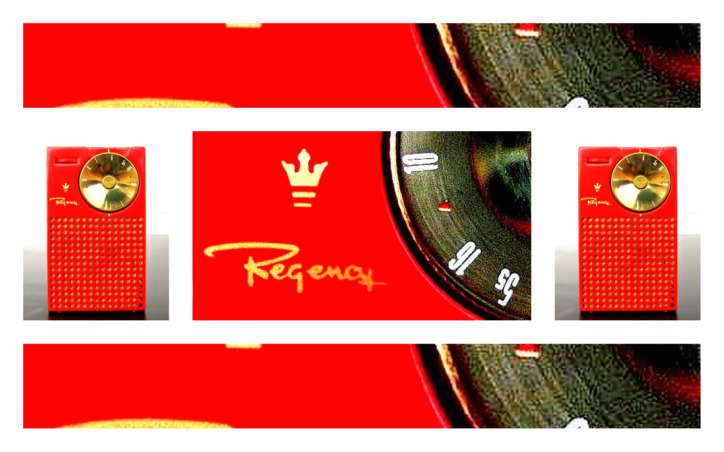 The cabinet of the Regency TR-1 was designed by the Chicago firm of Painter Teague and Peteril. They came up with two designs, one with a perforated grill and one with a slotted grill. Ultimately the perforated grill was the accepted design and the plan for a slotted grill was discarded. Prototype TR-1 cases were machined not molded and there is some suggestion that before the slotted grill version was abandoned a machined version was manufactured... Now imagine stumbling across that at a yard sale! 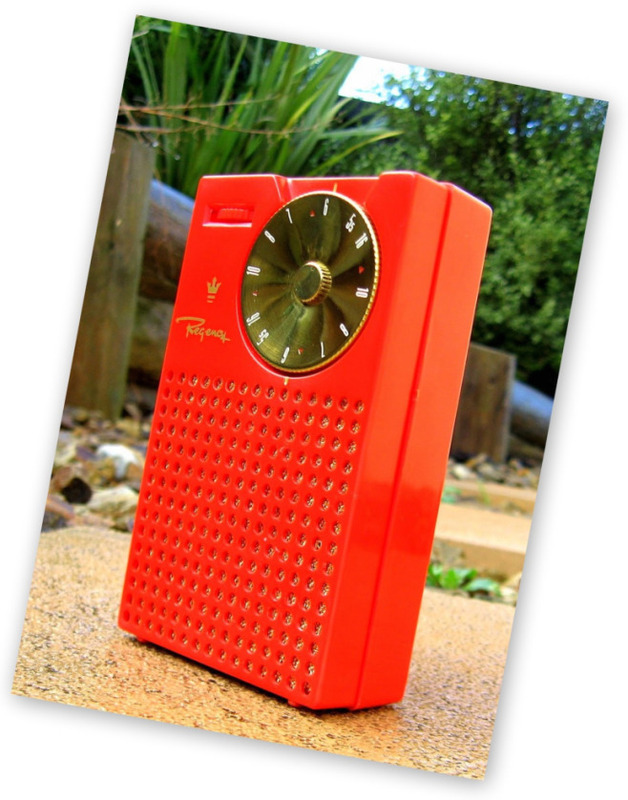 According to ‘The Regency TR-1: 50 Years On’ an article by Paul R Farmer in the AWA Review Vol 17 the Mandarin Red colored TR-1 had an estimated production run of 19000 with probably 950 – 1900 in existence today. 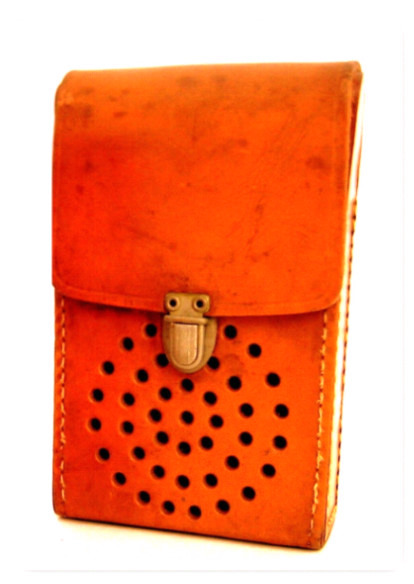 The availability of the first TR-1 leather case was announced in a January 29, 1955 edition of Billboard Magazine. 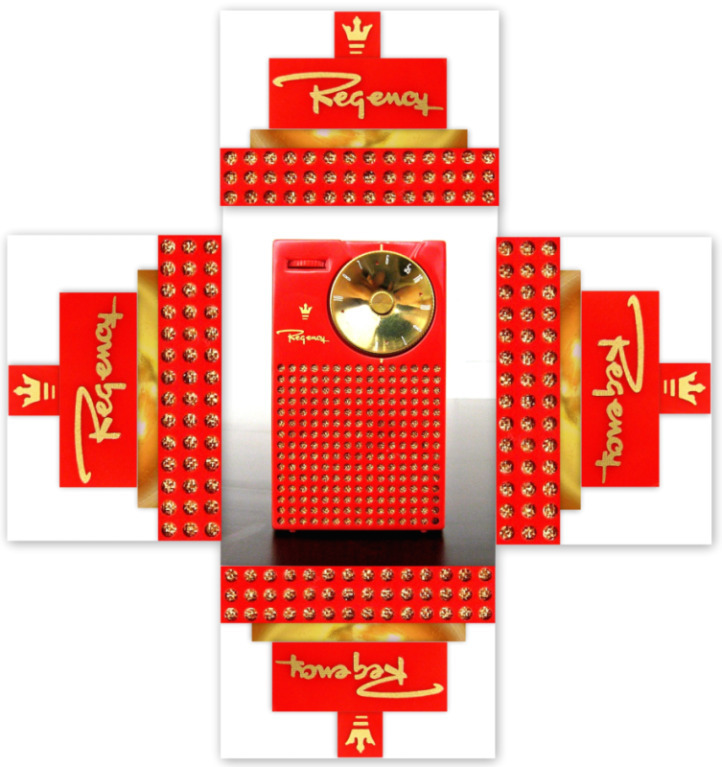 The case was available to the purchaser for an extra $3.95. 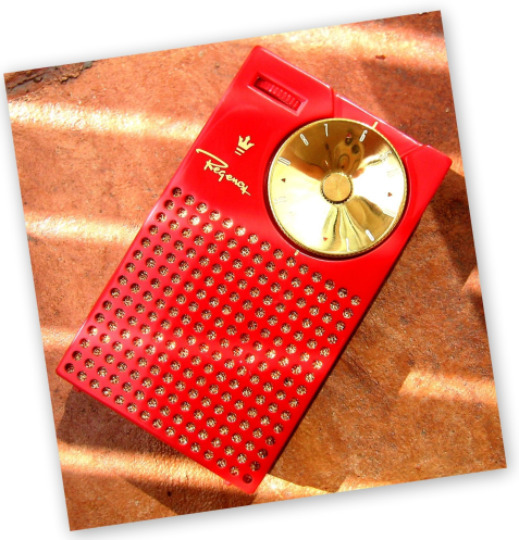 The earliest cases used a round cutout speaker grill pattern with later ones using a square pattern. 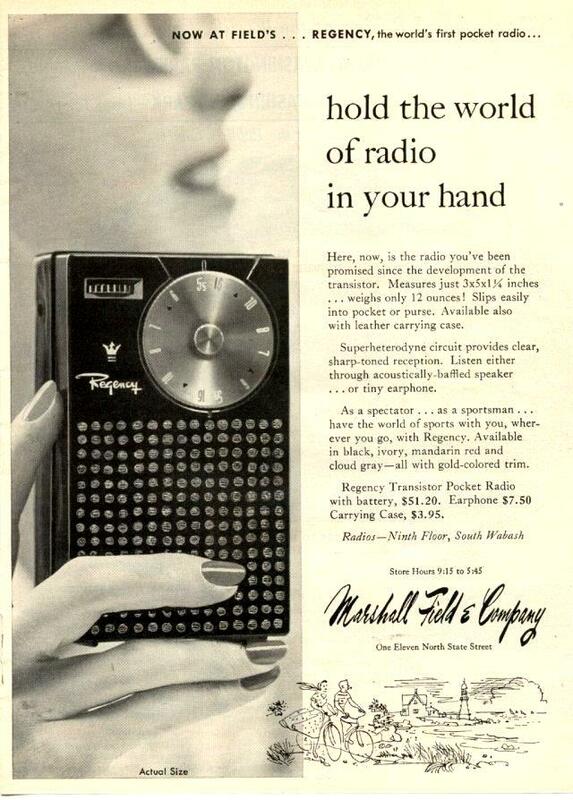 In 1954/55 Marshall Field & Co advertised the Regency TR-1 as the worlds first pocket radio; it wasn't. There were several tube portables, (the Belmont Boulevard was one) that operated on earphone only and predated the TR-1 by up to 10 years. See more Regency ads here. 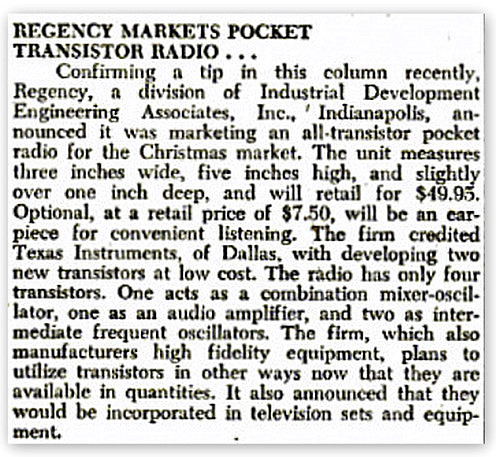 The article below regarding the launch of the Regency TR-1 appeared in an October 30, 1954 edition of Billboard Magazine. 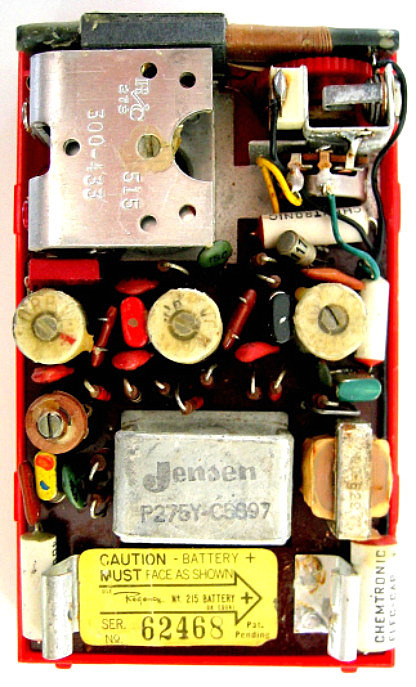 The transistors manufactured by Texas Instruments are clearly visible in the closeups with their painted tops. Presumably these were painted different colors for identification purposes. 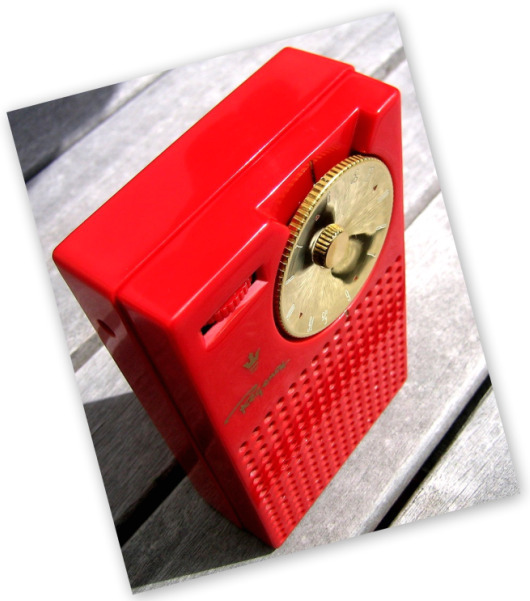 This Regency TR-1 must have been sent back to the factory to be serviced as it has the 'after market' label inside. After being serviced the new labels were glued directly over the top of the old labels. 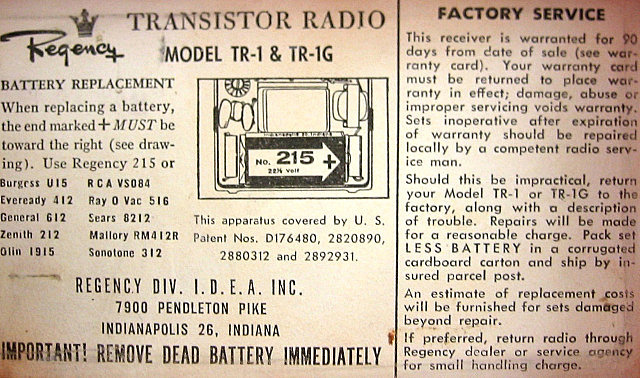 The capacitor code of 515 indicates that this TR-1 was manufactured in the 15th week of 1955.